Since its October 2009 launch, Typotheque’s Web Font Service has been used in over 290 sites, some of which we present in this small selection. 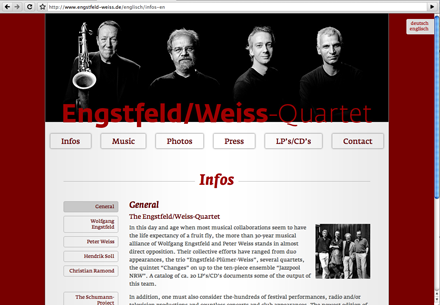 The jazz band Engstfeld Weiss Quartet uses Fedra Serif A for the main text. 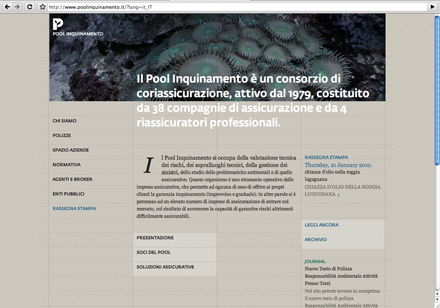 This Italian insurance group, consisting of 38 insurance companies, uses Fedra Sans on its main page. 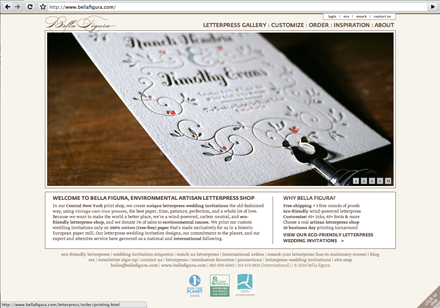 Bella Figura, an artisan letterpress print shop uses Greta Text and Fedra Sans on its site. Croatian software company Mireo, specializing in the development of telematic technologies, uses Fedra Sans. 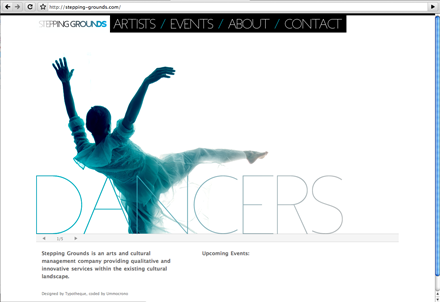 The culture management company Stepping Grounds uses Irma for the company identity and headline texts. 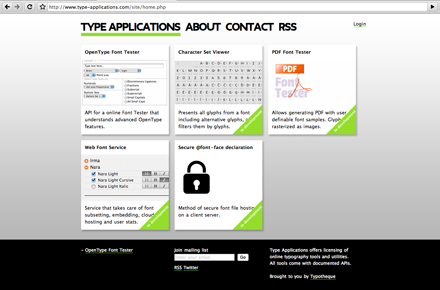 This type application service uses Irma for headlines. 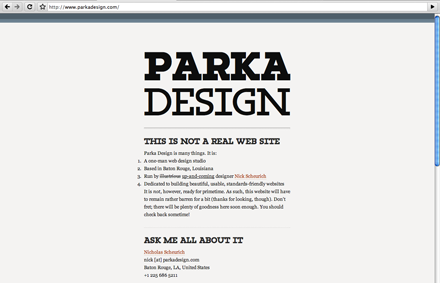 A one-man web design studio using Irma Slab. 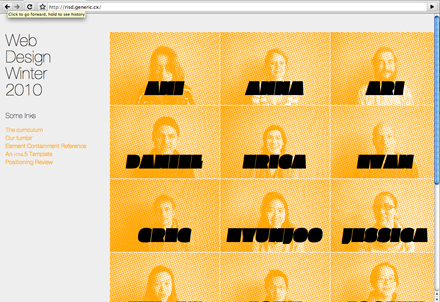 Rhode Island School of Design and its web design class have a page using Klimax Plus Italic Small Caps. 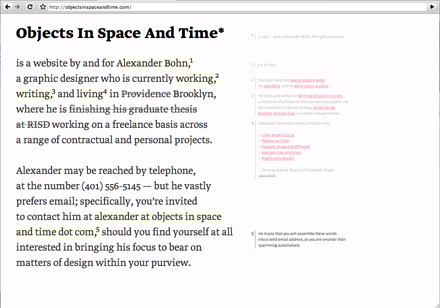 Designer Alexander Bohn uses Greta Text and Fedra Sans on his personal page. 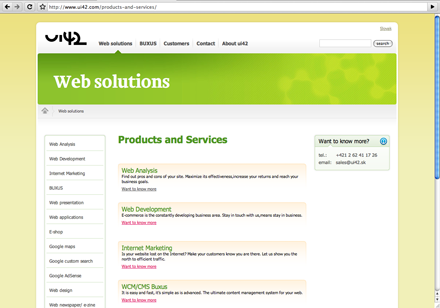 Web development company ui42 uses Brioni. 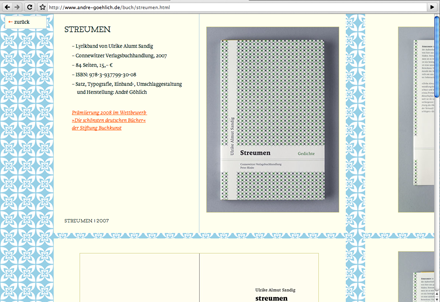 Graphic designer Andre Göhlich chose Irma Slab and Brioni for his personal site. 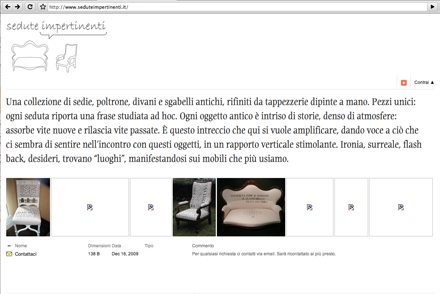 Furniture collector Sedute Impertinenti chose Nara for the identity of their site. 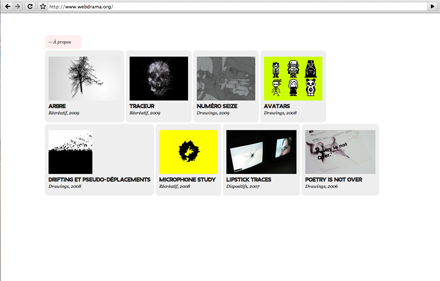 The personal site of Jean-Michel Géridan uses Irma for headlines. 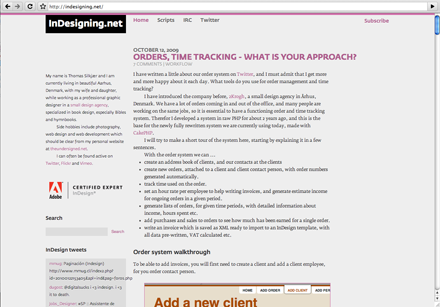 Certified Adobe InDesign expert Thomas Silkjær chose Fedra Sans and Fedra Serif B for his site. 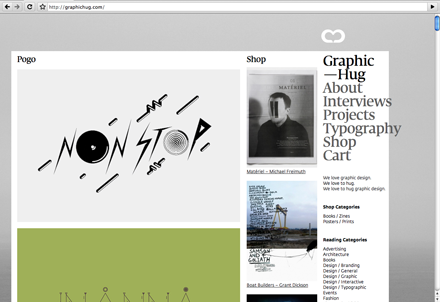 The graphic design blog Graphic Hug uses Fedra Serif Display and Fedra Sans for both headlines and main text.